LMI Technologies: Defining “FactorySmart®”- Part 1 - Allied Automation, Inc.
FactorySmart® is not just another buzzword. At LMI, it has meaning and purpose. 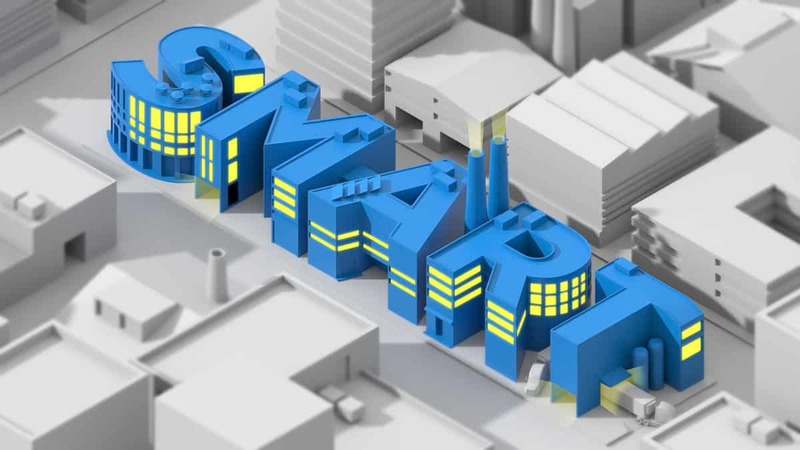 FactorySmart® represents smart sensors working seamlessly within the modern automated factory environment to improve production based on the principles of Industry 4.0. How does FactorySmart® help achieve these manufacturing goals? Let’s take a closer look. Smart sensors are the cornerstone of the FactorySmart® platform—allowing users to not only acquire scan data at high-speed, but to easily interpret that data and share results with factory infrastructure by networking with other factory machinery to support downstream decision-making. Watch the video to learn more about this core technology! All-in-one design is one of the key principles of FactorySmart®. All-in-one means that everything is built-in to the sensor head itself—including scan, measurement, and control decision-making capability. Where standard sensors require external controllers and/or PCs to process data, apply measurement tools, and communicate downstream control decisions, smart sensors offer this entire range of functionality within a single device. Plus, all-in-one design has a profound impact on lowering total system cost and complexity on the production floor. FactorySmart® sensors include scan, measure, and control in a single device. FactorySmart® design makes ease of use paramount. Examples of this include a web-browser driven, point-and-click environment for rapid control and configuration; factory pre-calibration for out-of-the-box measurement; and rich I/O for communicating results to factory equipment. FactorySmart® devices provide real-time, onboard measurement capabilities that minimize the lag between scan data acquisition and decision outputs, which means engineers can inspect a greater number of targets, and faster, without sacrificing measurement reliability or repeatability. FactorySmart® is about interconnectivity, which is one of the pillars of Industry 4.0. A smart sensor achieves this by seamlessly connecting with factory infrastructure to report measurement results, monitor trends from a web browser, upgrade sensor firmware over the Internet, or network with other factory machinery to exchange or combine data to achieve the best optimization results. A smart sensor has the flexibility to simultaneously output data and decisions to a wide variety of I/O. It also allows engineers to easily communicate with existing hardware using PLCs and robot controllers via Modbus TCP, EtherNet/IP™, Profinet or custom ASCII strings. FactorySmart® sensors are pre-calibrated by the manufacturer to output data in engineering units (as verified by a traceable calibration artifact). Without this ability, the sensor cannot perform dimensional analysis (metrology). And because a smart sensor is pre-calibrated, the user can power it up and immediately start scanning to generate optimal results––right out-of-the-box––with no extra time, cost, or effort required. Call us at 800-214-0322 for more information on our LMI Technologies Products.